Cruise in comfort and style onboard the Five-star luxury-rated MS Minerva. This ship creates the perfect atmosphere and a comfortable home base to explore the same route the Pharos would have taken in their stately processions along the Nile from Luxor to Aswan. 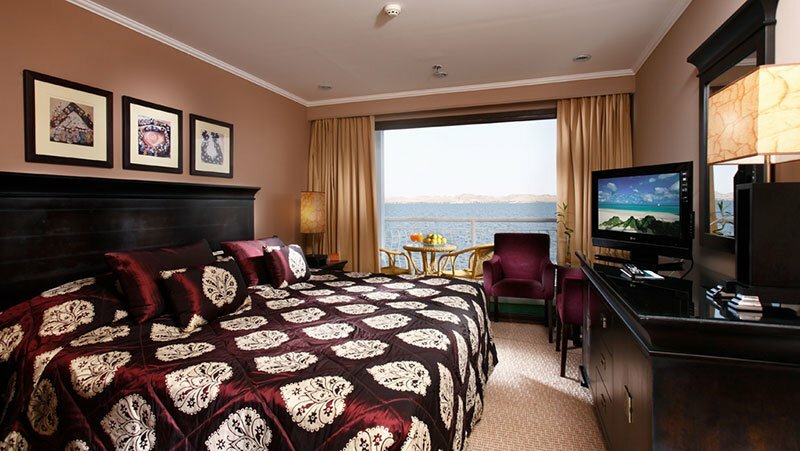 The MS Minerva offers luxurious cabins, mouth-watering cuisine and a variety of entrainment and recreation on board. You’ll never get bored or lack for something to keep you occupied, even if that’s just soaking up the rays on the enormous Sun deck that runs the entire length of the ship. This floating luxury hotel features a round-the-clock reception service as well as internet and international telephone facilities (charged against use) on board. The large and elegantly furnished restaurant can accommodate all passengers in one sitting, while the opulent lounge and bar will give the prefect area to relax or chat. Cool off in the Sun deck swimming pool or sip your favourite cocktail at the pool bar. Whatever you choose, there’s no better way to experience the sights and scenery of Egypt. 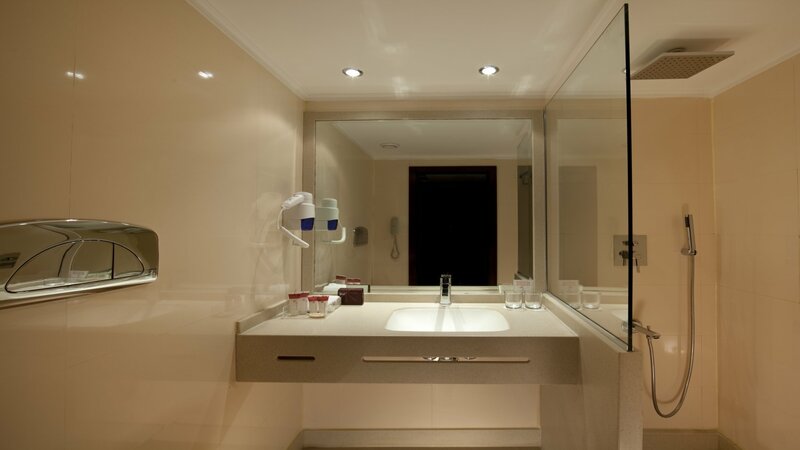 Guests who book the Suites will also receive a complementary set of stationery, slippers and luxury bathrobes embroidered with logo and a departure souvenir logbook. 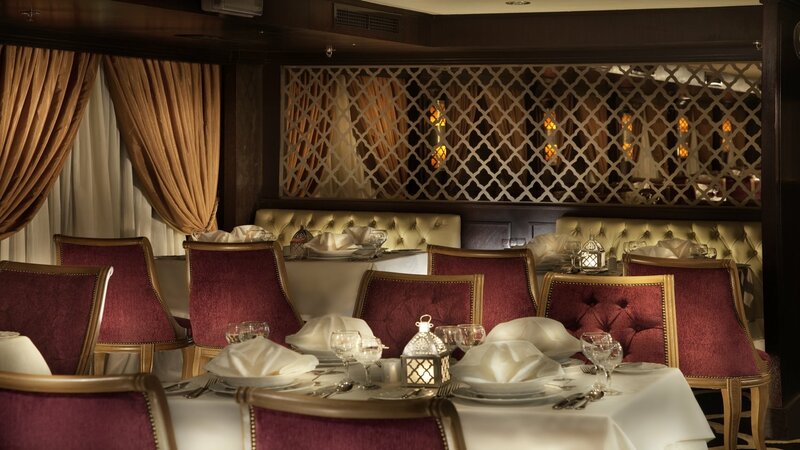 The main restaurant accommodates all passengers in one sitting and offers a mix of local and international buffet style cuisine created by a selected team of highly skilled chefs. Accommodation is on a full-board basis with daily tea time service including snacks and cakes. 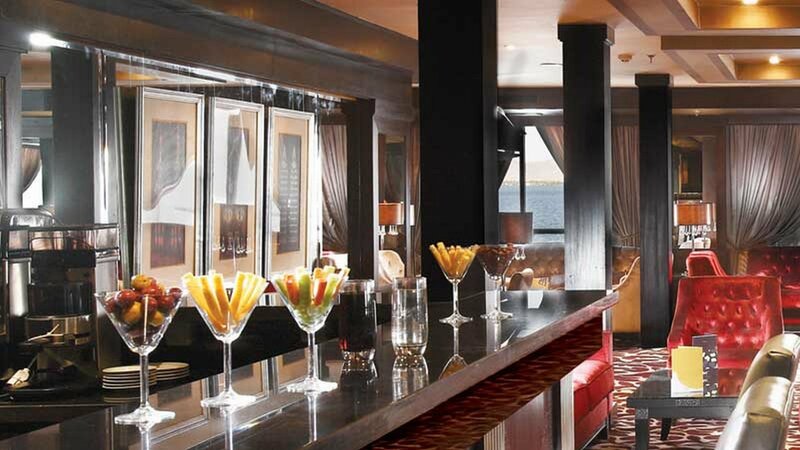 A large, sumptuous lounge and bar serves drinks and snacks all day. Sit back and relax with your drink in hand from the pool bar on the sun deck or lounge by the large freshwater swimming pool situated forward on the Sun deck that runs for the entire length of the ship. Visit the gift shop or indulge yourself in the beauty salon (open on request twice weekly in Luxor and Aswan). Lightweight and informal summer clothes are the norm during the day and in the evening smart/casual. Arrive at Luxor airport and transfer to your 5* cruise vessel. Dinner on board and overnight stay in Luxor. Early morning visit to the West Bank to the Valley of the Kings, Valley of the Queens, the Temple of Hatshepsut, Medinet Habu Temple and the Colossi of Memnon. Lunch on board and afternoon at leisure. Dinner on board and overnight in Luxor. Morning visit to the East Bank which combines a visit to Luxor Temple, originally joined to Karnak by an avenue of sphinxes and Karnak temple which covers a huge area and includes several temples, the largest being the Temple of Amun. In the afternoon set sail to Esna lock and overnight in Esna. 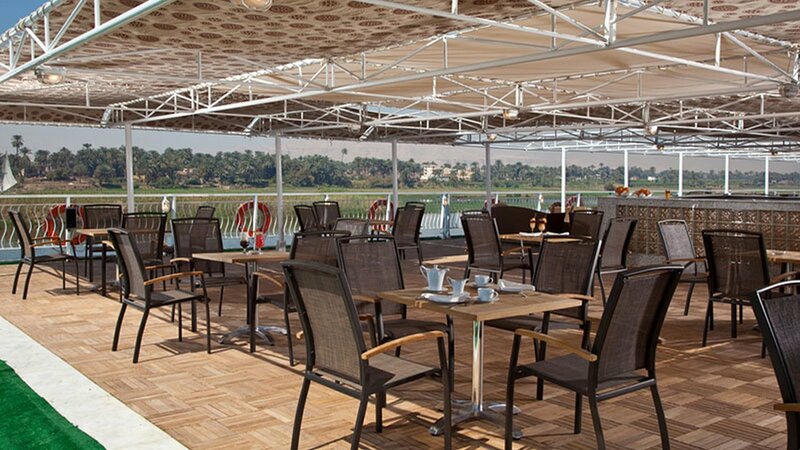 Breakfast on board and set sail to Kom Ombo to visit the Temple of Sobek and Haroeris and overnight in Kom Ombo. Set sail early to Aswan and visit the High Dam in Aswan, the Unfinished Obelisk – still rooted to the bedrock of pink granite - and the Temple of Isis on Philae Island. Overnight in Aswan. *Optional excursion to the ancient wonder of Abu Simbel by road or air. Morning at leisure for those clients not taking the optional Abu Simbel trip, a chance to relax on the sun deck, or stroll around Aswan. In the afternoon, relax and enjoy a boat trip around Elephantine Island which will lead you to the Botanical Gardens on General Kitchener Island given as a gift in 1890. Overnight in Aswan. Sail towards Esna, lunch on board and sail to Luxor arriving late afternoon. Overnight in Luxor. Check-out and transfer to Luxor international airport for your return flight to the UK. Please note: the order or content of your itinerary may be amended due to lock closures, low water levels or any other unforeseeable circumstances. Traditionally, a tip is expected at the rate of £4.00 per person per night which includes coach drivers, bell boys, housekeeping staff, crew, bar/restaurant staff and all off the boat tipping. Additional tipping is not expected. © Copyright. Classic Holiays. All rights Reserved Worldwide.